I presented a webinar with the OCLC last week on Web 2.0 resources and mobile apps that can be incorporated into or improve your library classroom instruction. We covered all sorts of technology, from OPAC apps to screencasting software, and received great feedback from our participants. Thanks to all who attended! There’s nothing like discovering a new app that you know will bear a permanent location on your favorite device’s screen, am I right? Sometimes it’s as silly as an addictive word game, but discovering something practical, useful and educational is even better. Which is why I want to fill you in on ShowMe. Launched in Summer 2011, ShowMe is a free iPad app that has already grown to hundreds of thousands of users. 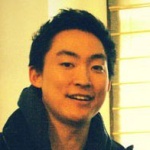 Co-founded by San Kim, a Columbia University graduate and longtime tutor, he developed ShowMe as a way to make education available to all students. 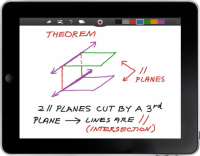 With ShowMe, educators and students alike can make visually stimulating videos with the touch of a finger. Teachers can create “how-to” videos about specific topics, and students can creatively demonstrate newly acquired skills or knowledge. “There’s an awesome lesson on the water cycle made by this kid named Alessandro–I think he’s in elementary school,” San said. “For me, this is a great example of what some call ‘learning by teaching.’ One thing I realized from my experience is that teaching something is the best way to learn it, and it’s awesome to see that happening on ShowMe.” For those of you with iPad classrooms or BYOD initiatives at your school, incorporating ShowMe into instructional lessons will make it more appealing, engaging and interactive for your students. Learn more about the ShowMe story and make sure to check out their website. 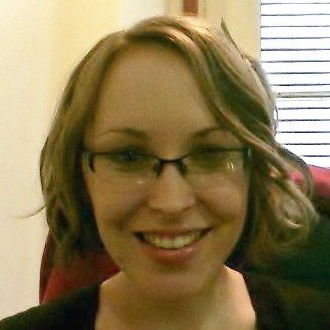 Emily Gover is the in-house librarian for EasyBib and ResearchReady. You can find her on Twitter, @Emily_EasyBib, or posting news you can use at the EasyBib Librarians Facebook page. This entry was written by Emily G., posted on March 11, 2013 at 2:58 pm, filed under Uncategorized and tagged mobile apps. Bookmark the permalink. Follow any comments here with the RSS feed for this post. Trackbacks are closed, but you can post a comment.